On the main road, you may well come across Christine, trying to hide her violin. Turn left off the main road, up Wyatts Drive, and you'll be heading for the shops. 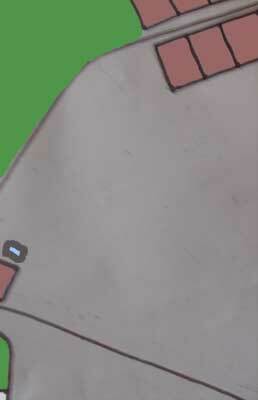 As you proceed, look into the garden of the first big house on your right, and you'll see an outdoor swimming pool. On sunnier days, there will be Carol pretending to be a mermaid. Jonathan, though, records a pool turned green with moss and lichen with the lining peeling away from the walls. This must have been during the final days of Oldton. 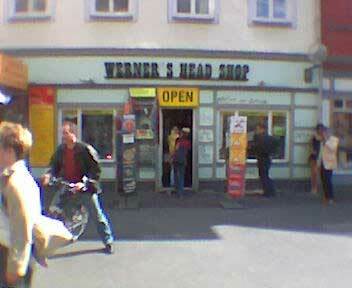 The first shops you'll find will be Werner's Head Shop and the grocers run by the Boyce family for generations; although a number of that family were not slow to run away from the town in the end.